Piper has never seen the Mark of the Dragonfly until she finds a girl amid a caravan wreckage in the Meteor Fields. Anna doesn't remember a thing about her life, but the tattoo on her arm is proof that she's from the Dragonfly Territories and thus protected by the king. Which means a reward for Piper if she can get the girl home. 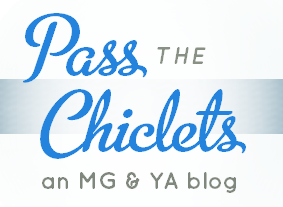 The one sure way to the Territories is the 401 train, but stowing away is a difficult prospect—getting past the peculiar green-eyed boy who stands guard is nearly impossible... Life for Piper just turned dangerous. A little bit magical. And very exciting, if she can survive the journey. It is so, so static. The ARC's back cover features a much more interesting illustration featuring the three main characters in motion on the important 401, and one wonders why the designers instead went with a boringly symmetrical symbol which has no hint of uniqueness to it, along with a standard sans-serif all-caps font only slightly re-arranged. The writing in this book is rather sub-par, and this is evident from the first few pages. Jaleigh Johnson tells rather than shows often ("Piper was too tired and worried to deal with this mess." p. 43) and stuffs world-building exposition into her dialogue throughout the book, so that her characters give half-page speeches on technology, races and politics. This problem exacerbates the unrealistic dialogue Johnson occasionally places in the mouth of her protagonist; in Piper's conversations with Anna, the former often sounds more like a mother ("That's my girl"; "Put that incredible brain to use") than the sister which the characters soon come to resemble. But now we come to the many good aspects of this book. The relationship between Piper and Anna is wonderfully developed and essentially everything kidlit doesn't tend to have in a girl-girl friendship, especially given the very interesting — and later telling — characterization of Anna, who is truly endearing. If I may say so without spoiling anything, their relationship is also intricately tied into the magical aspect of this otherwise-steampunk book, and furthermore related to the plot. These layers are basic, but also not too common, which makes them all the more awe-some, in the awe-inspiring sense. Now, the worldbuilding. In retrospection, the beginning is slower as Piper's old way of life is detailed, yet the amount of set-up Johnson leads us through doesn't feel quite enough somehow. There remains much about the politics of the entire planet to be explained, especially considering the ramifications which Anna's past (well, present) is supposed to have on the kingdom. Piper's magical ability is an interesting introduction of fantasy, and the meteor showers themselves are a potential-laden concept which hint at other worlds. Enough substance is there to provide a firm foundation for the forthcoming companion novel, which according to the author's website will feature different characters. 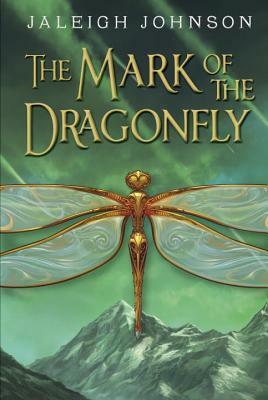 Overall, if you can overlook the awkward writing and dialogue, The Mark of the Dragonfly is a well-paced and richly-characerized novel that does justice to the genre of steampunk and the age category of middle-grade. Ethnic balance: 2 out of 5. An interesting, non-Western-sounding selection of names for cities and towns, but no mention of ethnicity beyond Gee's "olive" (ugh) skin.